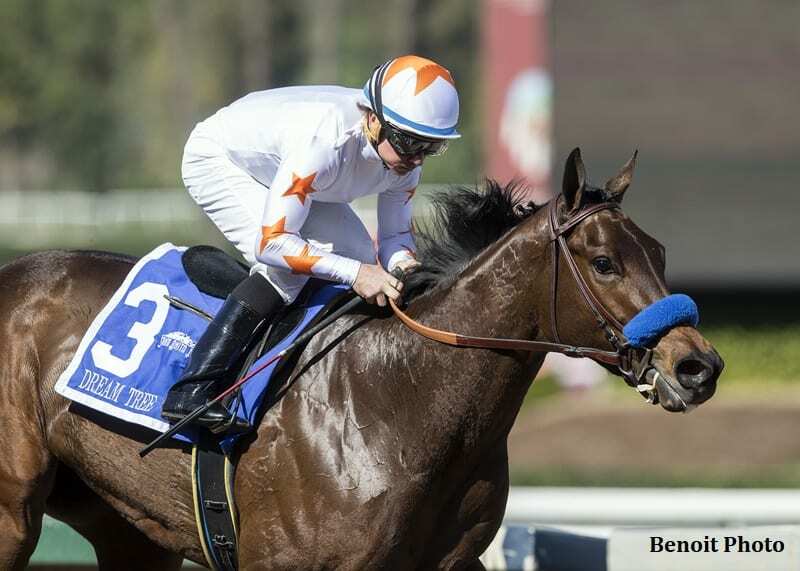 Undefeated Dream Tree is no longer being aimed at the Kentucky Oaks, trainer Bob Baffert told bloodhorse.com. The 3-year-old Uncle Mo filly breezed on March 7 at Santa Anita Park, but exited the work with an unspecified physical issue. Dream Tree has won all four of her career starts, including the G1 Starlet at Los Alamitos in December and the G2 Las Virgenes Stakes in her 2018 debut. The news comes as another blow to owners Phoenix Thoroughbreds, whose Triple Crown-aimed colt Mourinho was euthanized earlier this week as a result of an injury sustained while breezing. This entry was posted in NL List, Racing and tagged acorn, Bob Baffert, dream tree, injury, kentucky oaks, Las Virgenes Stakes, mourinho, phoenix thoroughbred, phoenix thoroughbreds, santa anita park, test, Uncle Mo by Paulick Report Staff. Bookmark the permalink.